Participants: 216 voting delegates were present. Only 11 Latin Americans were present. Some 113 delegates came from Europe. A total of 164 official visitors, advisors and observer-consultants were registered, as well as staff and press. It was a young assembly. Thirty delegates were between 18 and 35 year old. All had full voting rights. Highlights: Attempts to meet in the German Democratic Republic were blocked by the East German government. The venue was moved to Brazil but protests about human rights violations stalled what would have been the first LWF gathering in the global South only five weeks before the opening session. 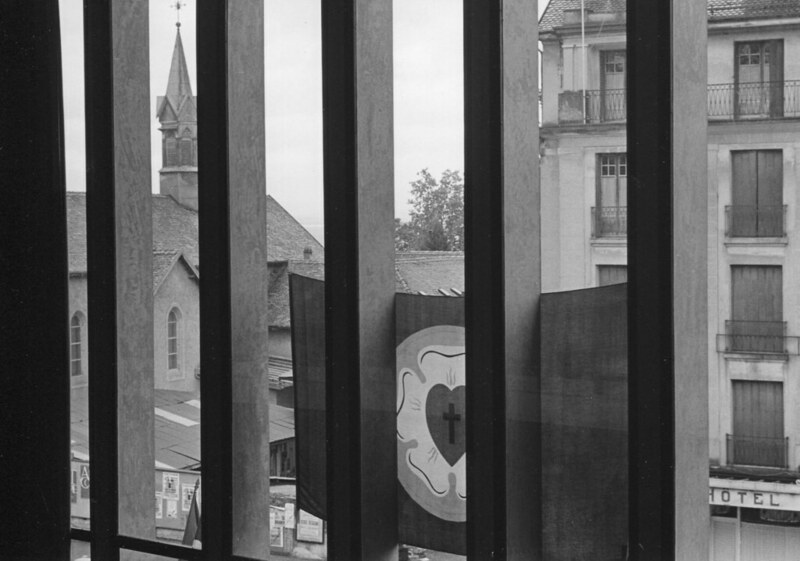 The Assembly was moved to Evian, France, and was shaped by the pivotal role of youth delegates who demanded changes to the traditional ways of working and communicating. The main addresses were: creative discipleship in the contemporary world crisis, sent into the world, the response of the Lutheran churches to the Roman Catholic Church, and theology today. The Assembly adopted a new LWF structure, issued a resolution on human rights, and recommended pulpit and altar fellowship between LWF member churches. Two keynote addresses dealt with relationships with the Roman Catholic Church. Ecumenical commitment was also a highlight. Economic justice and human rights were key issues. Prof. Mikko Juva of Finland was elected LWF president. LWF General Secretary was Rev. Dr André Appel from France.